While no less a nu-metal authority than Fred Durst was their original benefactor, Jacksonville's Cold has always had a secret weapon in its heavy rock arsenal: mouthpiece. It's mouthpiece Scooter Ward's powerful singing -- not shouting or rapping, like so many of his contemporaries -- that distances he and his mates from the pack. This doesn't mean they're better; indeed, Cold's first two releases weren't consistently strong efforts. However, with the release of Year of the Spider, Cold has placed more emphasis on atmospherics, centered itself behind Ward's lyrics, and has even collaborated with Weezer. While these moves might alienate some metalheads out there, it's a great way of surviving the coming day of judgment, when the bell will toll for all but the best of the nu-metal moaners. 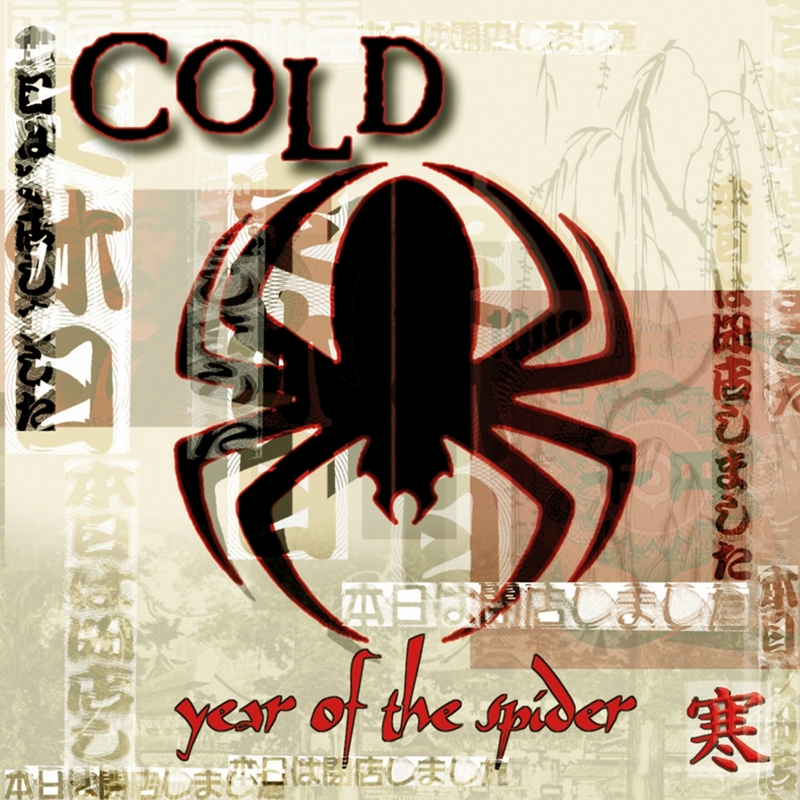 Year of the Spider was produced by Howard Benson, who's best-known for masterminding P.O.D. 's triple-platinum Satellite. Just as that group tempers its pummeling rhythms with passionate lyricism, so Benson has massaged the aggro-metal of Cold's initial releases into a better framework for Ward's gruff croon and deeply personal lyrics. Grappling with a family crisis, Ward pleads bitterly and openly in "Cure My Tragedy (A Letter to God)": "If you make the world a stage for me then I hope that you can hear me scream," he sings. "Don't take her smile away from me she's broken and I'm far away." It's arresting to hear such defiant honesty in a genre that, despite its reliance on depressing themes and personal rage, too often is maligned by its own acrimony. "Wasted Years" reaffirms this sentiment. An ambitious, acoustic-driven ballad accentuated by a full string section, the song builds with Ward harmonizing over specters of himself, repeating the song's desperate words until the final couplet. "It's not hard to fail/It's not easy to win." While this sort of impassioned lyricism can easily become a cliché, it's a credit to Ward's talent as a singer that he sells it. Sure, he sounds too much like Maynard James Keenan, and often seems like the emotional twin of Aaron Lewis. And in its new, more tuneful configuration, Cold can at times approximate the populist alt-rock of Bush. But none of this diminishes the fact that, in the bombastic, one-dimensional world of nu-metal, Cold's regeneration as a melodic, vocal-driven metal band helps it stand out, and will likely help it survive when the industry inevitably pushes away from the post-grunge table. Ward co-wrote the standout single "Stupid Girl" with Weezer's Rivers Cuomo, and while nothing else on the record features as hooky a chorus, the appearance of Dollshead vocalist Sierra Swan livens up the otherwise dour "Suffocate." (The move toward female vocal contributions in metal, illustrated best by the success of Evanescence, is an encouraging trend toward levity.) Year of the Spider is still bruised with the clichés that burden so many releases in this genre. But the dreary purples, blues, and blacks have faded just enough to reveal a band that isn't as concerned with anger and volume as it is with emotion and melodic breadth.